The manju is a standard form of wagashi (Japanese confection) made by wrapping flavored ingredients such as adzuki bean jam in kneaded dough made from wheat or other ingredients, all of which is then steamed. While there are various types of manju in Japan, the momiji manju is a particularly famous variety. Momiji manju are distinguished by their momiji (maple) leaf shape. 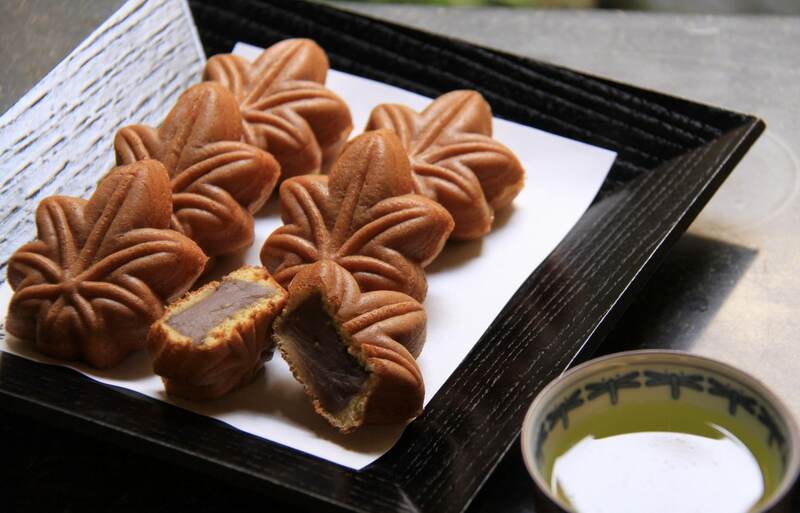 They’re made by wrapping adzuki bean jam in a castella-like dough—made using wheat, eggs, sugar and honey—and baking the combination in a maple-leaf-shaped mold. For the jam, it’s considered customary to use koshi-an, a form of pureed sweet bean jam made by removing the testa, or outer covering, of adzuki beans. Momiji manju are actively sold on the road approaching Itsukushima Shrine on the island of Miyajima in Hiroshima, and there are facilities where you can even try making them for yourself. The momiji manju was first made in the late Meiji Period (1868-1912). 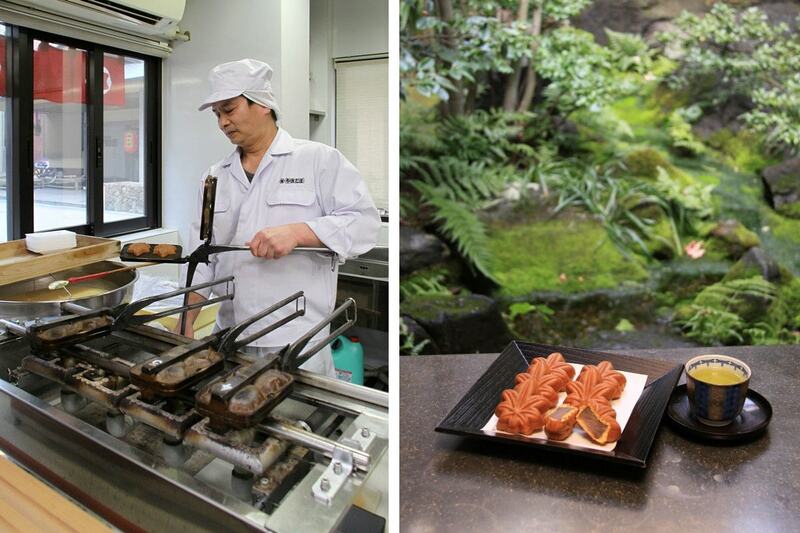 A wagashi maker known as Takatsu Tsunesuke supplied wagashi to a ryokan (Japanese-style inn) located in Miyajima’s popular Momiji-dani (Maple Leaf Valley) tourist area, a region boasting a beautiful autumn view of maple leaves. The ryokan’s mistress requested the creation of a souvenir sweet suitable for the name of Momiji-dani. After concerted effort, Takatsu perfected the momiji manju in 1906. Though the shape of the momiji manju remains the same today, a number of variations have also developed over time. In addition to adzuki bean jam, there are flavors including cream cheese, custard cream, green tea and chocolate. The outer coating is also seeing an increase in variety, with some makers battering completed momiji manju and deep-frying them, coating them in chocolate, or adding bamboo charcoal to the dough.